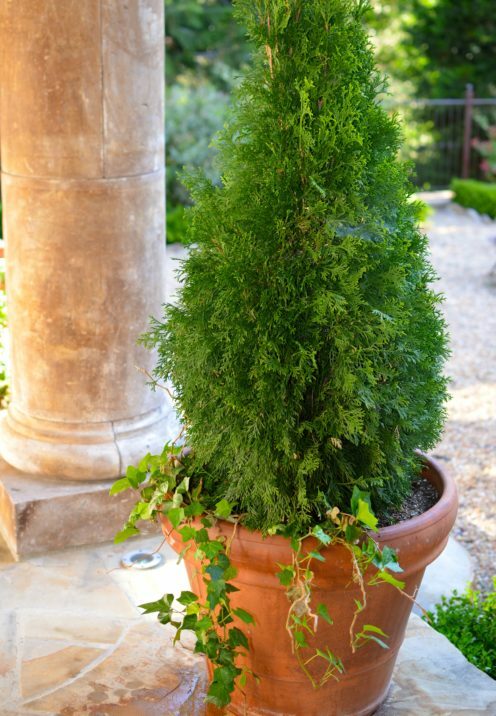 Last week every time I went to water a potted tree that sits on my terrace a bird would come flying out from inside, startling me. I finally made the assumption that the bird must be building a nest there. 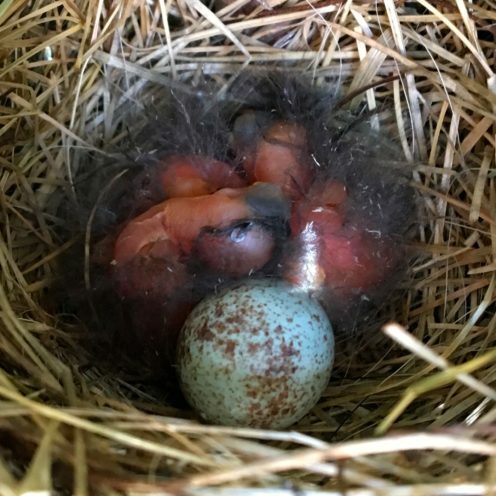 Mostly out of curiosity and partly because I wanted to be sure I wasn’t dousing a nest full of eggs each time I watered, I decided to probe around and see what might be lurking inside my little tree. Sure enough, I found a sweet little nest with 4 blue speckled eggs inside. Assuming the eggs would be there a while longer I failed to take a photo of them. 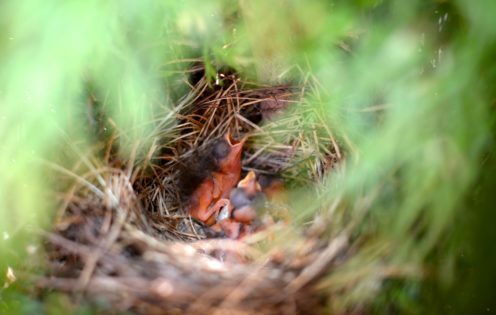 The next morning I served breakfast on the terrace and decided to check again on the pretty little eggs, this time with my camera in hand. Low and behold I discovered that all but one of the eggs had hatched, revealing 3 fuzzy little red & black balls. 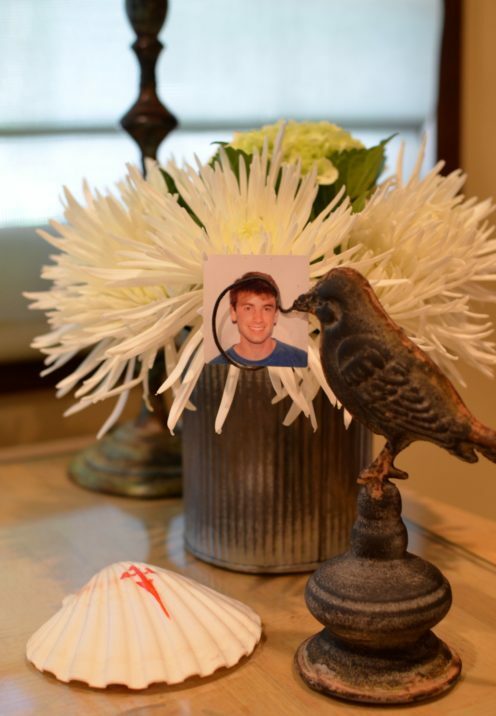 I felt a tinge of guilt in doing this because I feared that the old wives tale about mother birds abandoning a nest if she detects it has been disturbed might be true. By the way, does anybody know if that happens to be factual? 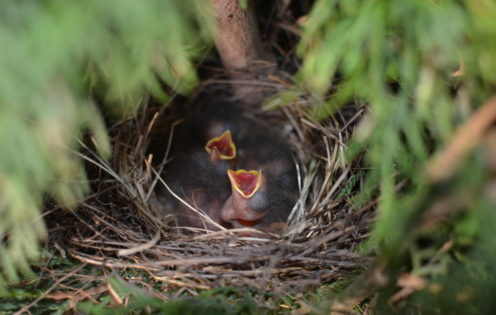 Then of course I really felt guilty when they assumed I was their mother and extended their necks with open mouths expecting the gift of food to be dropped right in. Isn’t nature just fascinating? 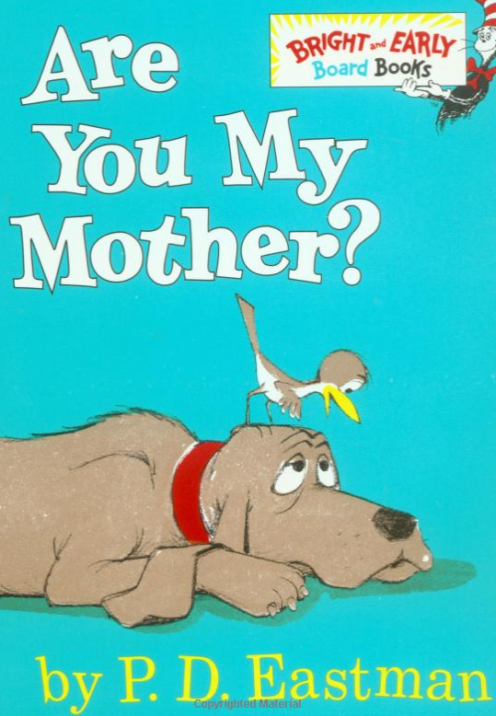 It reminded me of the book I used to read to my kids called, “Are You My Mother?”. Remember that cute story? I’m going to buy the book for my grandchildren right now! Speaking of birds, our Parrakeet, Chiquita, passed away recently. We gave her a proper burial in the backyard. She will be missed. 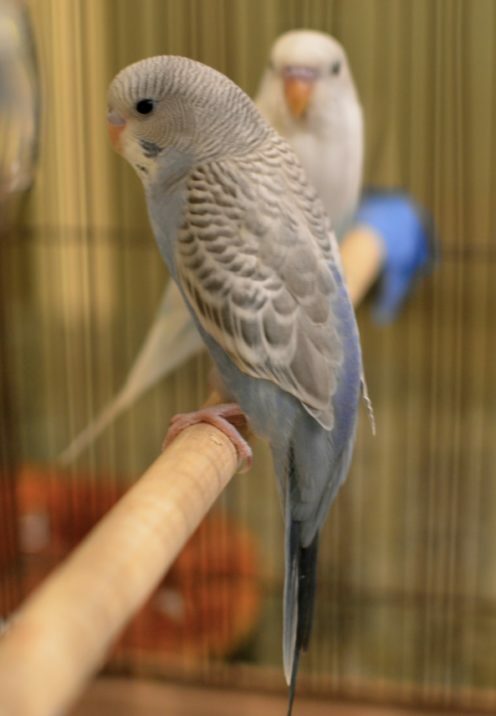 Then Brad ran out and bought not one but 2 new birds. Meet “Juicy Lucy” and “Mr. Muscles” (Brad named them), the 2 new additions to our family. When I was a little girl of just 11 I spent a summer in Spain with my father’s family. 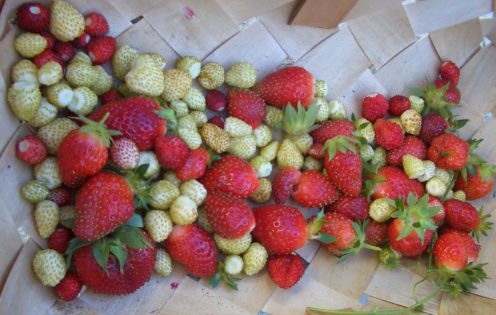 Our extended family comes from a small coastal town in northern Spain and one of my favorite pastimes was to forage for strawberries that grew wild absolutely everywhere. 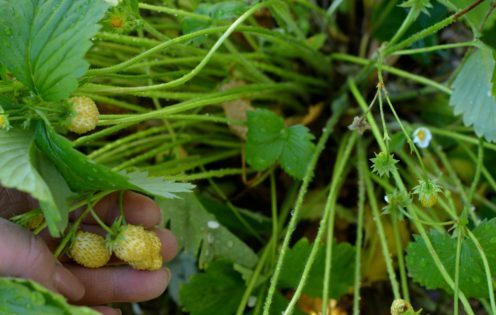 These wild strawberries were unlike anything I had ever seen in America, as they were tiny little gems of sweetness, just there for the taking along the lovely country road that I would walk on my way to the beach. In Spanish they are called fresitas meaning little strawberries. This time of year in Spain every restaurant serves fresh strawberries with a big dollop of freshly whipped cream on top, “Fresas con Nata”. On every subsequent trip to Spain I looked forward to enjoying this wonderful summertime treat. The strawberries in Spain just taste different, as does the whipped cream. So, a few years ago I was so shocked to find fresitas, tiny strawberry plants, at my local nursery. They were selling both the red and the golden colored tiny strawberries. I bought every single plant they had and planted them along a retaining wall in my vegetable garden. 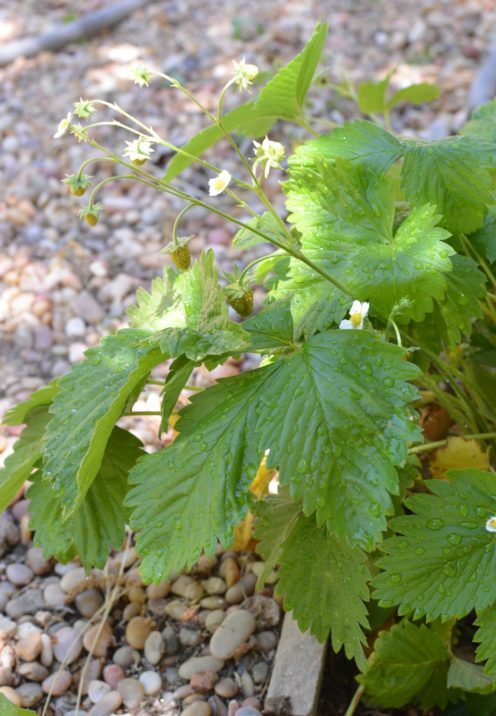 The plants thrived and soon supplied me with abundant bushels of strawberries on a daily basis. 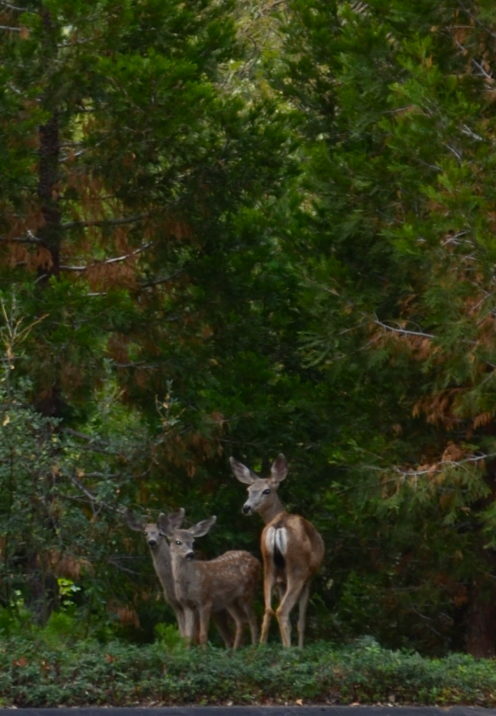 Then two summers ago we went on vacation, only to return to find that my strawberry plants had disappeared, eaten almost down to the roots by the pesky deer that have discovered my garden. I can’t tell you how sad I was that my fresita plants were gone. The following summer they did not grow back, as the deer had decimated them to the point that the plants did not survive. So sad. However, these strawberries have proved to be super resilient. 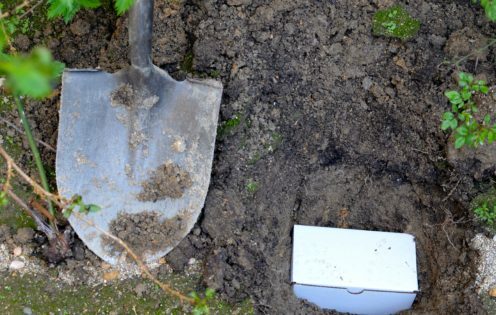 Although they did not return to their original home along my wall, they have sprung up all around my garden, even filling in an entire planter space. 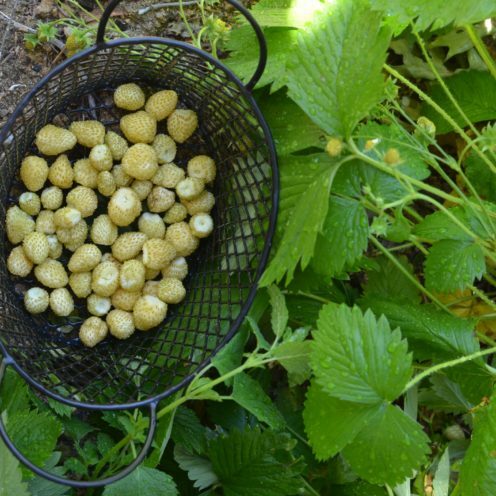 And it seems that it is the tiny golden strawberries that have rebounded to the point that I can harvest a nice bowl of golden goodness every morning for breakfast. They just keep producing ripe fruit day after day and will continue to do so all summer long. As I said earlier, isn’t nature fascinating? These plants were determined to survive and not only that, multiply prolifically without any help from me. What a wonderful gift from nature! So, Speaking of Spain on this lovely Sunday, my son Taylor just happens to be there right now. 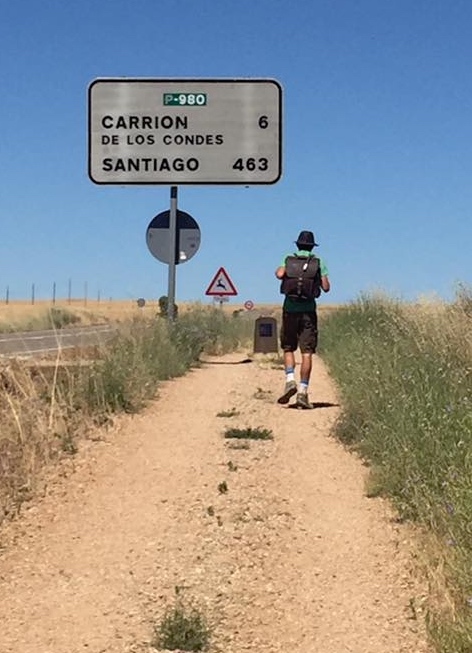 He is realizing a dream to walk the Camino de Santiago. If you are not aware of the Camino de Santiago, an excellent introduction to it is this wonderful movie starring Martin Sheen called, THE WAY. If you haven’t yet seen this excellent film you must do so this very minute!! THE WAY was filmed entirely in Spain and France along the actual Camino de Santiago. 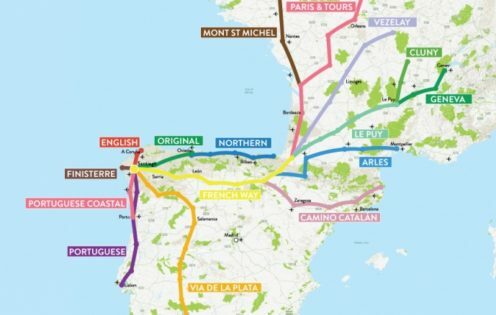 El Camino de Santiago de Compostela (in English: The Way of St. James) is a network of routes across Spain and Europe which all lead to Santiago de Compostela, located on the north west coast of Spain. In the Middle Ages these routes were walked as a pilgrimage to the tomb of the Apostle St. James. Nowadays, tens of thousands walk or cycle the Camino de Santiago every year in an epic journey of as much as 500 miles. The area of Spain that is home to the beautiful town of Santiago de Compostela is known as Galicia, and it just happens to be where both Martin Sheen’s family and my own originated. Thus I have known about The Camino my entire life, and have been to Santiago de Compostela numerous times. As my father did with me, I have passed my love for Spain down to my children, each of whom have also spent a good deal of time in our ancestral homeland. On one of my visits to Santiago I purchased the iconic scallop shell as a memento, and ever since it has hung in my office, giving me daily reminders of this enchanting place. 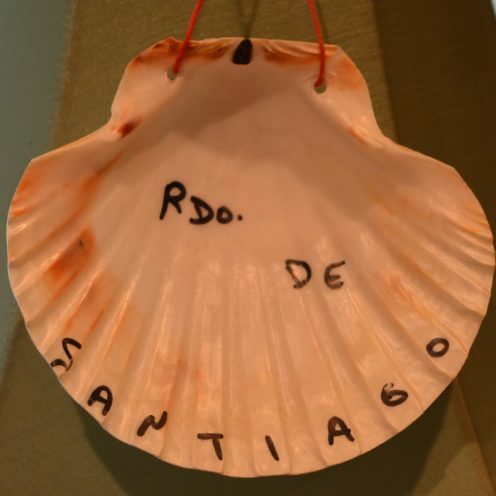 These shells are worn by the pilgrims as a sort of symbol or badge as they walk the Camino. They are also used along the route to guide pilgrims in their journey. 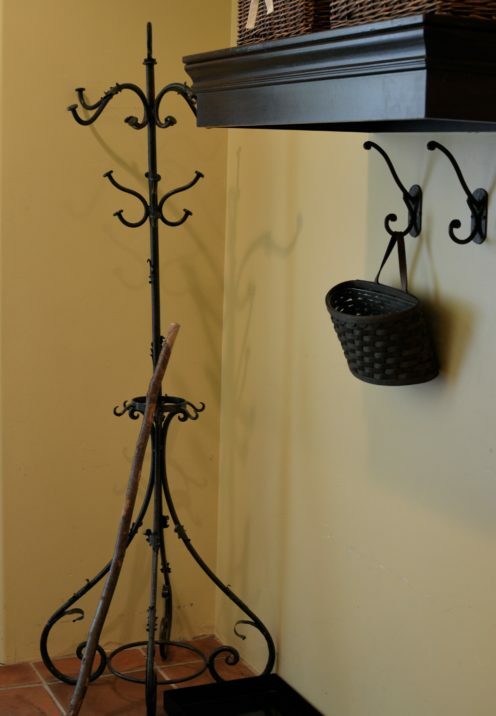 Another reminder of Santiago is the walking stick that sits in our mud room. My husband picked up this stick after it was discarded by a Pilgrim once he had reached his final destination, the Santiago de Compostela Cathedral. That very stick traveled the entire Camino and now resides with us here in California, where it often accompanies us on daily walks. 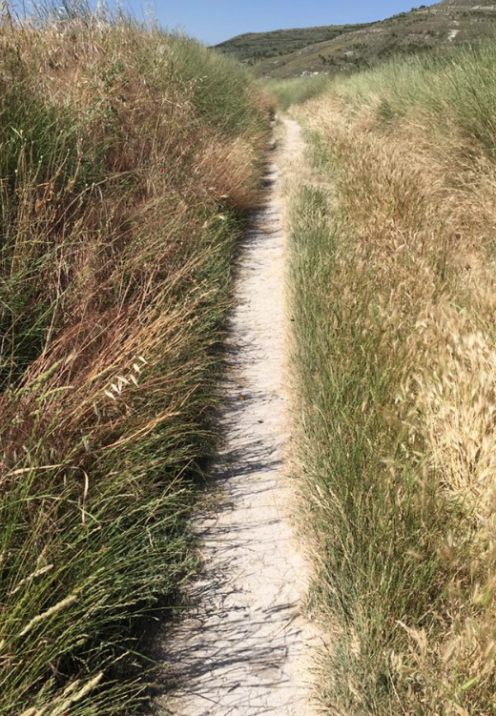 Taylor will be walking what is know as the Portuguese Coastal Route of the Camino which begins in Porto, Portugal. This is the second most popular pilgrim route, enjoyed by those who don’t have up to 2 months to complete the most famous and most followed route known as The French Route. 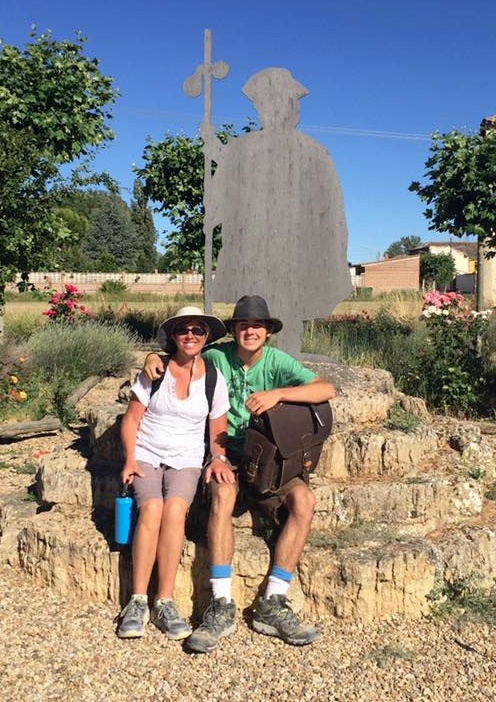 I have a friend Megan from Lake Arrowhead who is currently making a 52 day journey along the French Route with her son Connor, a recent high school graduate. 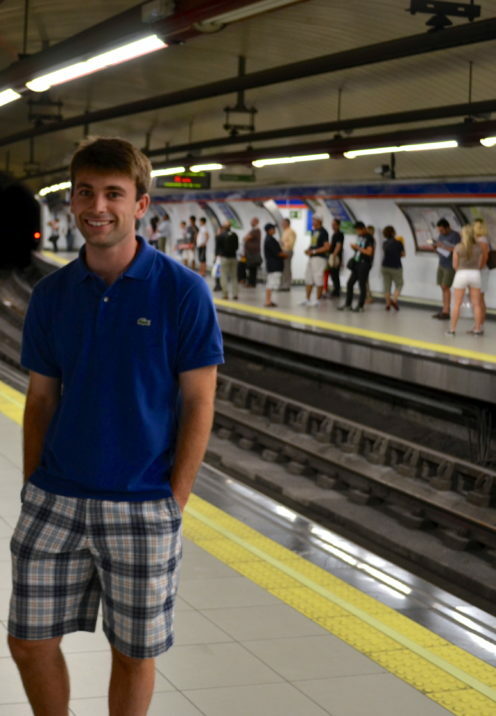 It was his wish to walk the Camino with his mother as his graduation present. I think it is almost more of a gift to her. Best wishes Megan and Connor! I hope you find lots of wonderful wild strawberries along The Camino! I’ll be keeping you posted on both my son Taylor and Megan & Connor’s journeys to Santiago. I envy them the opportunity to make this epic adventure. All opinions expressed in this post are my own. Unless otherwise credited, all photos are the original property of Celia Becker @ www.AfterOrangeCounty.com and may not be reproduced without specific permission. This post contains an affiliate link.